We did see a small amount of progress on March 15, 2018, when the Trump administration accused Russia of hacking vital American infrastructure and imposed sanctions on 19 individuals, including the 13 that Special Counsel Robert Mueller indicted in February 2018. While the move is welcome, it’s not what we’re asking for. 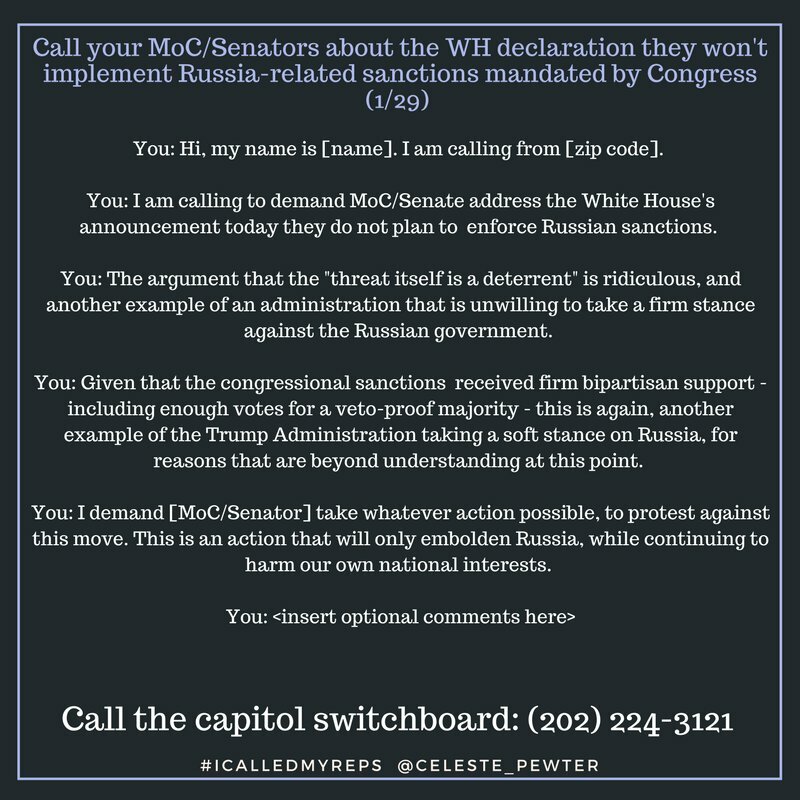 The administration still needs to obey Congress and impose the damn sanctions on Russia already. This is the entry for June 22, 2018.